Manufacturer: Attributed to Abt. Warmbrunn, Quiltz & Co. Throughout the 1800s, tuberculosis (also called phthisis, consumption, or TB) was a leading cause of death in the industrialised world. Treatments focused on bed rest, a nourishing diet, and fresh air. Canada’s first tuberculosis sanatorium opened in 1897 as a hospital where patients in the early stages of lung disease could rest and recover. These sanatoria also served to isolate chronically infectious patients from society. Tuberculosis patients were required to carry a pocket flask or cuspidor as an effective means to reduce the spread of the disease. 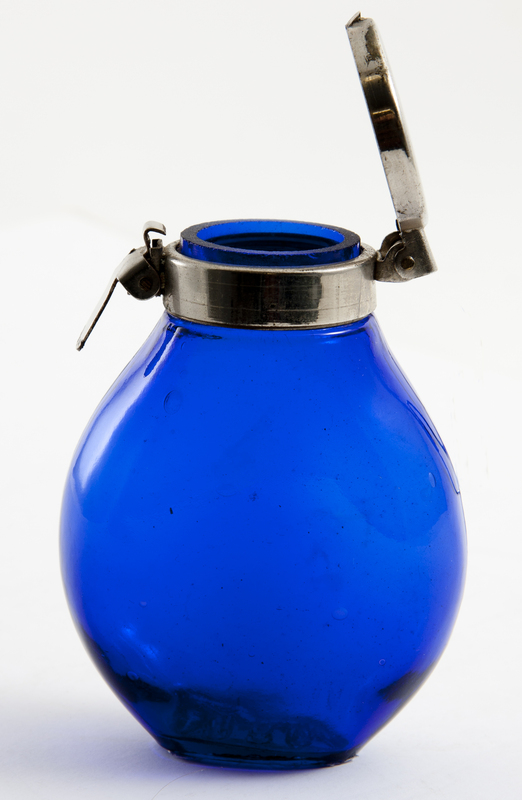 The portable flask was used to collect sputum and when full, burning the contents was considered the safest method of disposal. 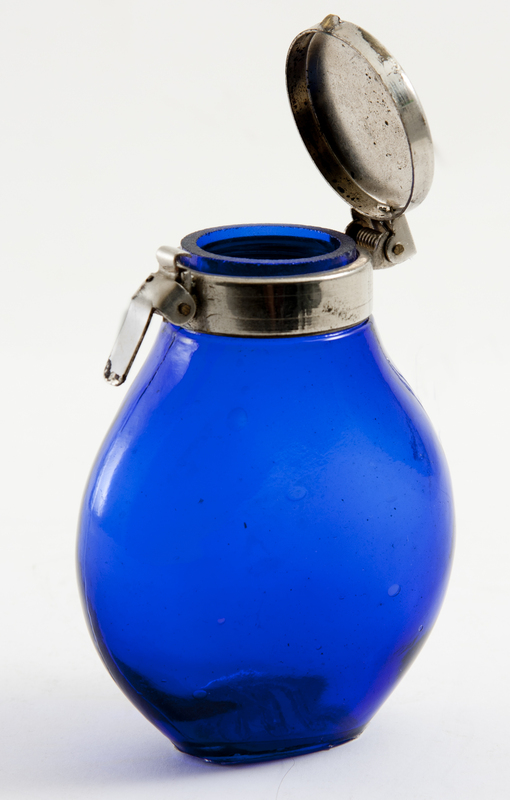 This particular model is sometimes known as a Blue Henry, being of cobalt blue glass, but other models were of metal or disposable paper.